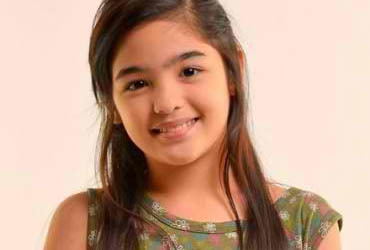 Kapamilya TV-Shows, the child star Andrea Brillantes is the one who was selected to portray the role of ANNALIZA (remake) an upcoming teleserye of ABS-CBN. Andrea was introduced in some of the TV commercials and on kapamilya gag show “Goin Bulilit”. She was also given a role in Andi Eigenmann’s “Kahit Puso’y Masugatan”, and she was a little Kim Chiu in “Ina Kapatid Anak” the currently running soap of ABS-CBN. In Annaliza teleserye, Andrea will be working with Zanjoe Marudo, Patrick Garcia, Denise Laurel, Khalil Ramos, Sue Ramirez, and the returning kapamilya star Carlo Aquino. Stay tuned for “Annaliza” which is soon to be aired in ABS-CBN’s Primetime Bida!